Its easy to start collecting uncountable bits and bob on your desk. 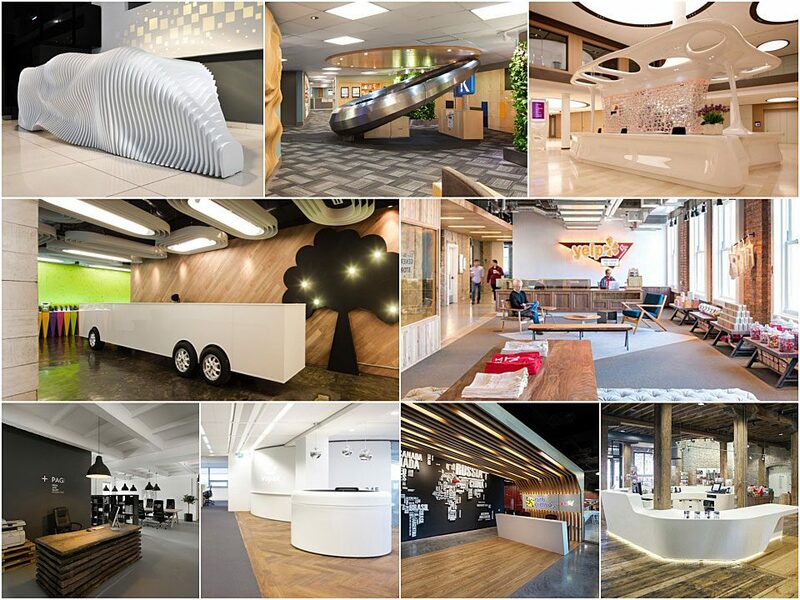 Stationary, letters, business cards or simply the smartphone or notebook are enough to make your workspace seem untidy. 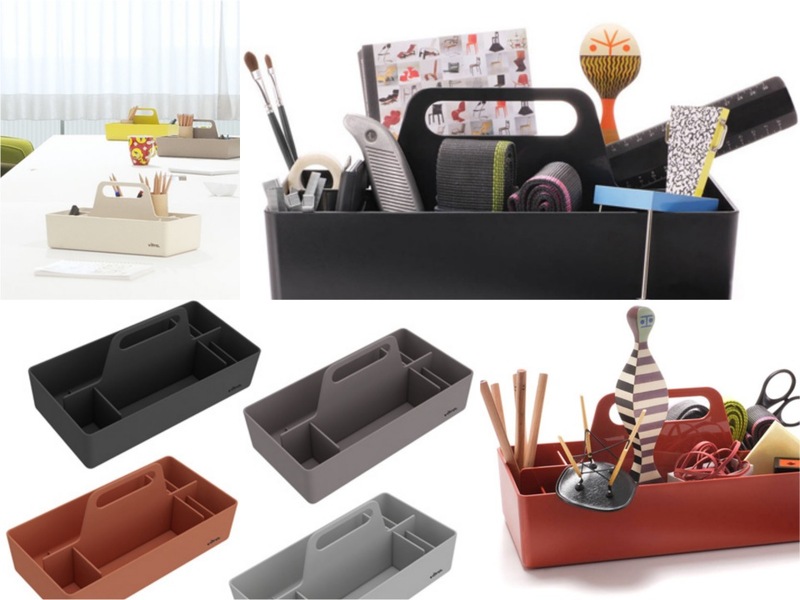 To help keep the space clear and focus on work, we’ve listed ten cool designer desktop organisers. 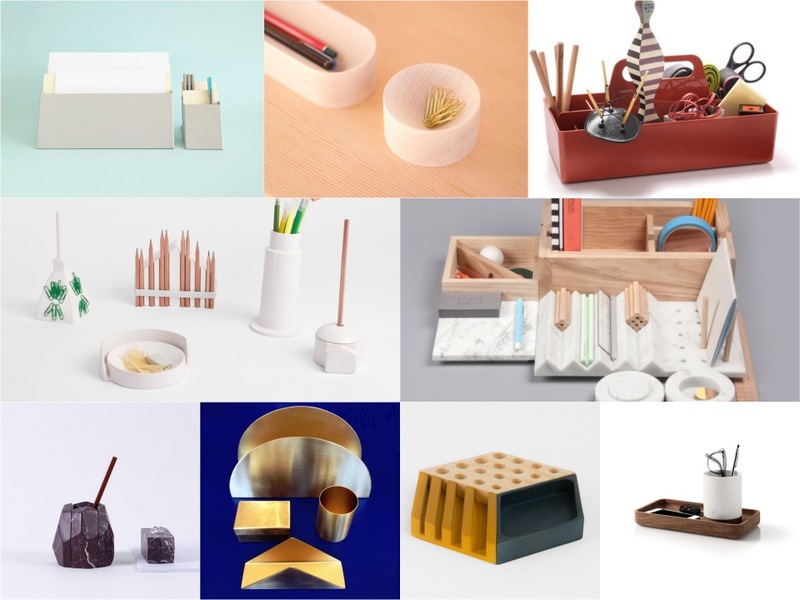 Toolbox by Arik Levy: Whats great about the Tool box, apart from the fact that it is a great piece of desktop design by Aril Levy, this handy storage box can be carried away. Made from ABS plastic and available in a range of colours, the Toolbox can be filled with those essential writing tools, charger leads, and even a smartphone or notebook, and taken to any desk, break out area or even back home. Souvenir by Andrea Rikalidis: This charismatic range of desk organisers feature italian landmarks to decorate the desk have been made from ceramic and finished in a white wash. Featuring a Leaning Tower of Pisa pen holder, a Colosseum box, Milan Cathedral paperclip stand, a Mole Antonelliana magnet/paperweight and a Pantheon pencil Sharpner. 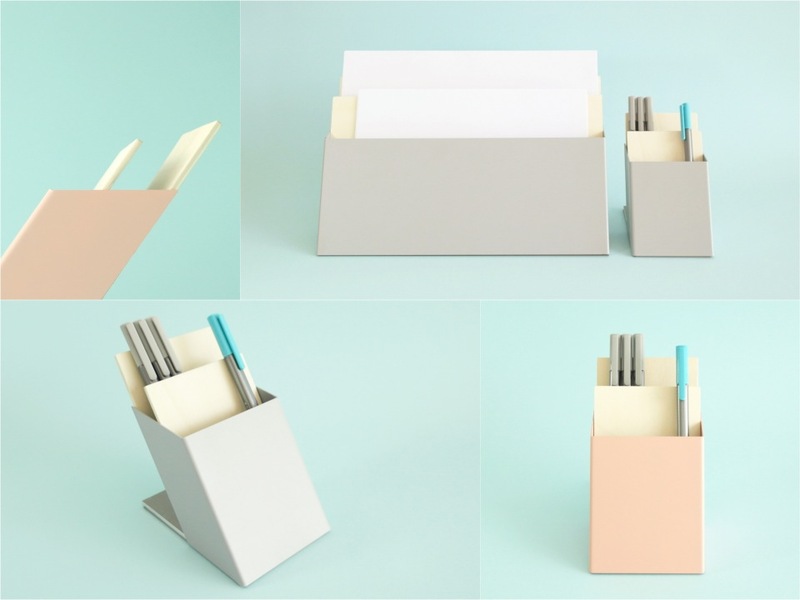 This simple but highly functioning desk organiser isn’t too bold, but distinctive. 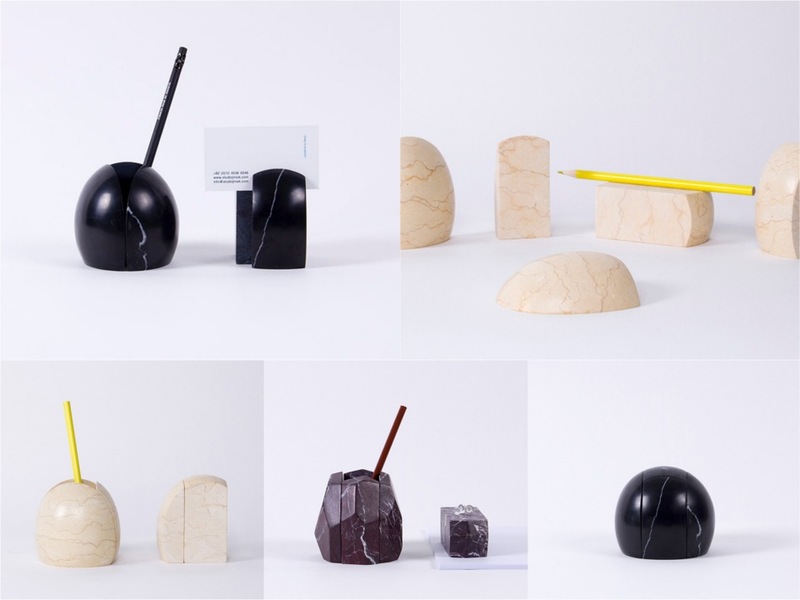 Stone age by Studio JinSik Kim: Kim uses a traditional material and brings it into a small desktop accessory. Created from five pieces that together form a small stone, the pieces can all the used separately, as paperweights, card holders or places together into a pen pot. The striking range of colours, from Black Marquina, Rosso Levante and Sunny Beige would make a sculptural piece for any desk top. 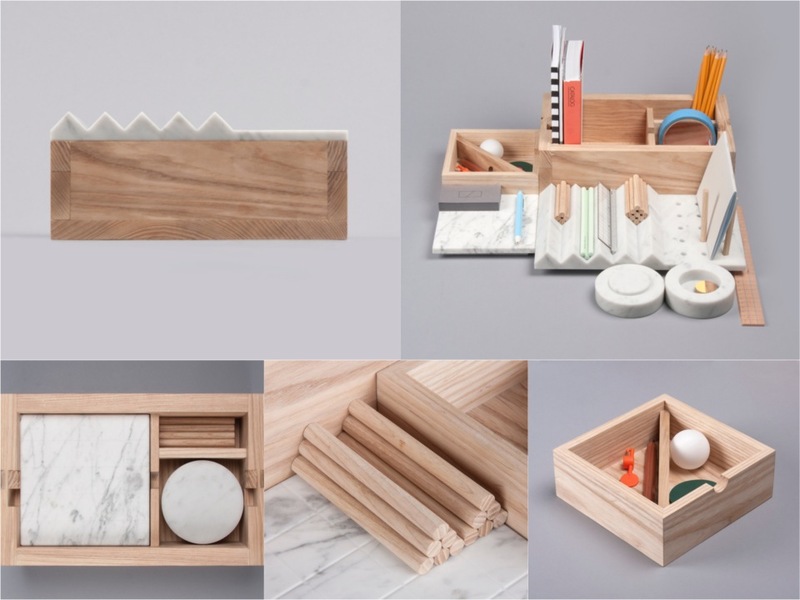 Shkatulka by Lesha Galkin: Created from marble and wood, the ‘Shkatulka’ or ‘casket’ box as its translated in Russian is a clever modular desk organiser that can be taken apart and used according to the owners style. 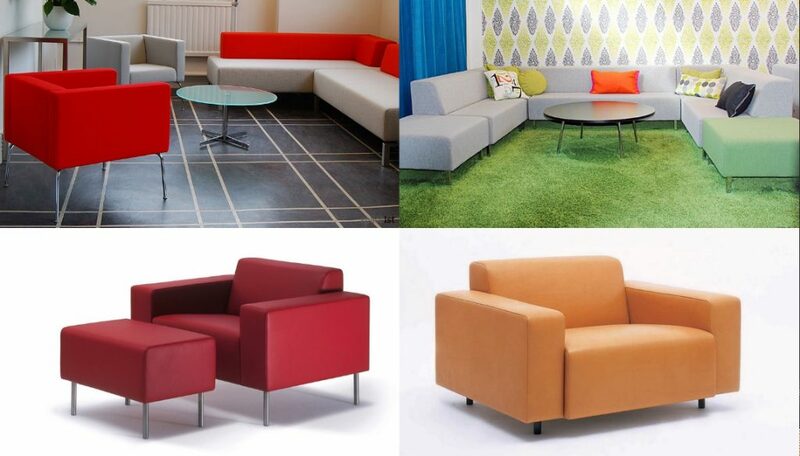 the modular pieces together represent an old industrial factory, with various parts functioning to your need. This beautifully made piece would definitely become a centre piece for a stylish desk. 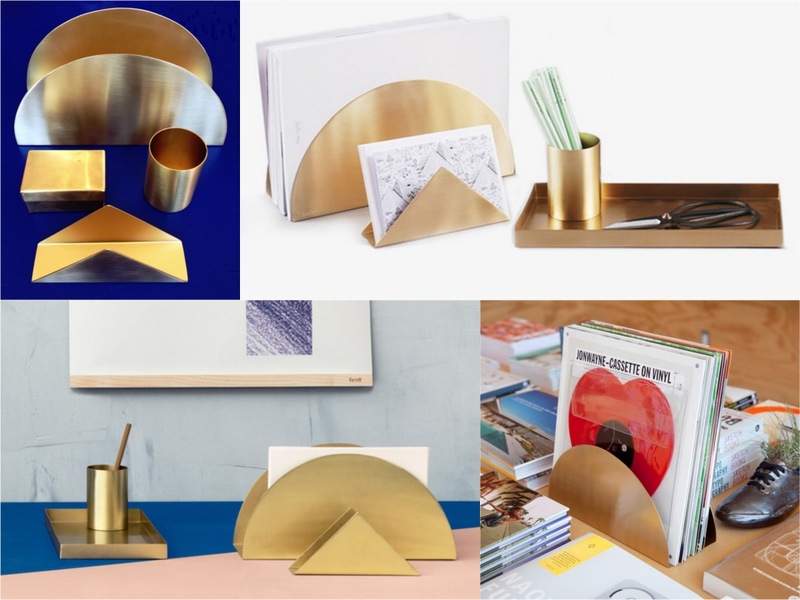 Brass Desk Set by Trine Andersen: A move away from stone and wooden desk accessories, we have the stunning Brass Desk Set by Danish designer Trine Anderson. A large semicircle stand is great for larger letters, newspapers and book, with a smaller triangle stand for letters and postcards. A tray and pen pot complete the look. All in a golden brass with matt finish, Anderson as ensure to source the materials from organic and sustainable sources. Classy with a conscience, it’s definitely a shining set for a classy desk. Kesito by Woodendot: Made from pine, this playful and neat desk organiser set by Woodendot can be placed together to form a hexagon, in a line or in any way you like. 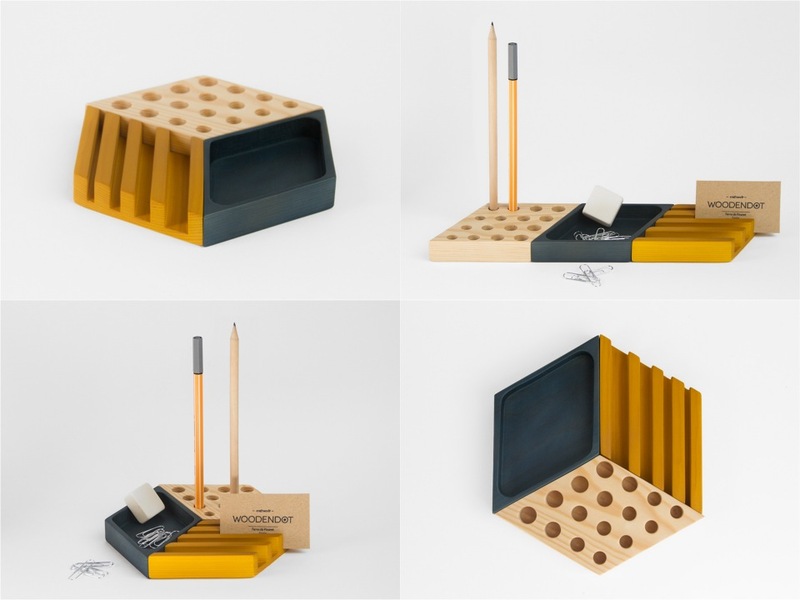 The Kesito includes a pen/pencil stand, a small tray for paperclips and a slot stand for cards and a smartphone, with two out of three parts coloured. 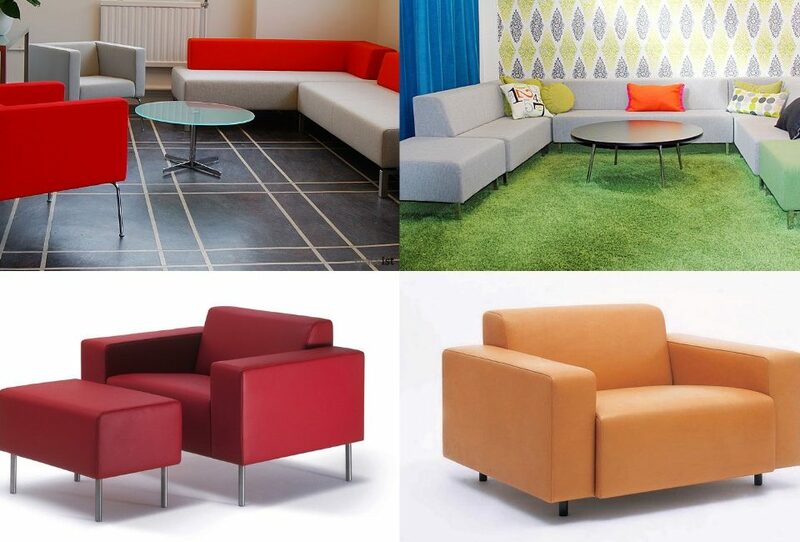 Cleverly created to minimise space by creating three separate pieces, the Kesito shows how something so small and well functioning can be designed with ingenuity. V Tray & Bowl-Spare by Daniel Okum: If it is a simple desk organiser you are after, the V tray and Bowl-spare by Daniel Okum are ideal. 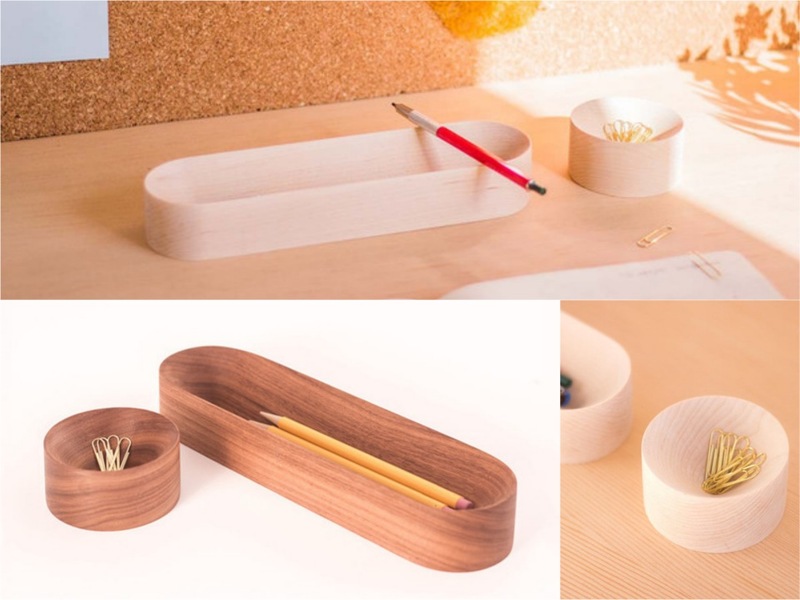 These two pieces accommodate stationary in two geometrical pieces crafted from either maple or walnut wood. 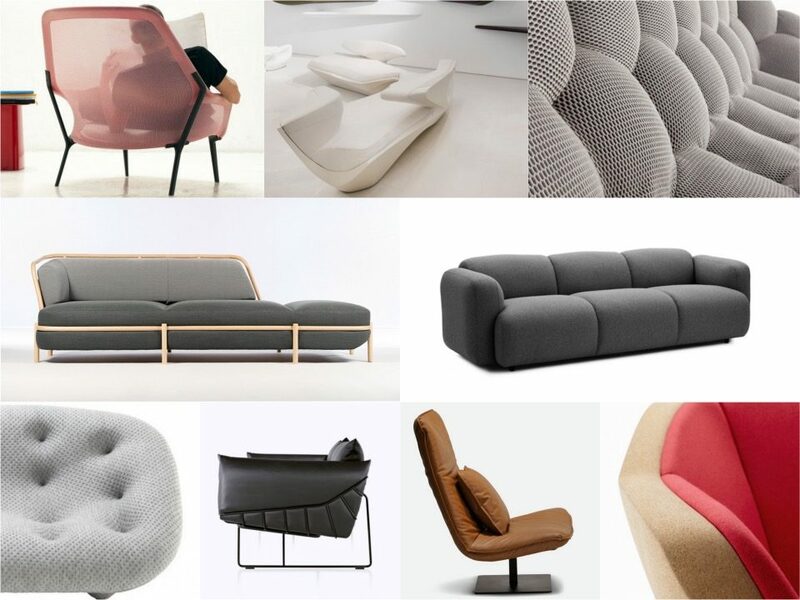 These pieces have been manufactured from automated machine techniques. 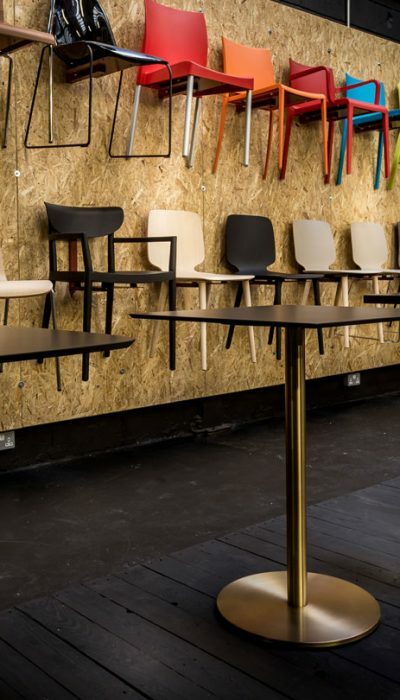 The natural wood grains and minimal design make this set stand out. 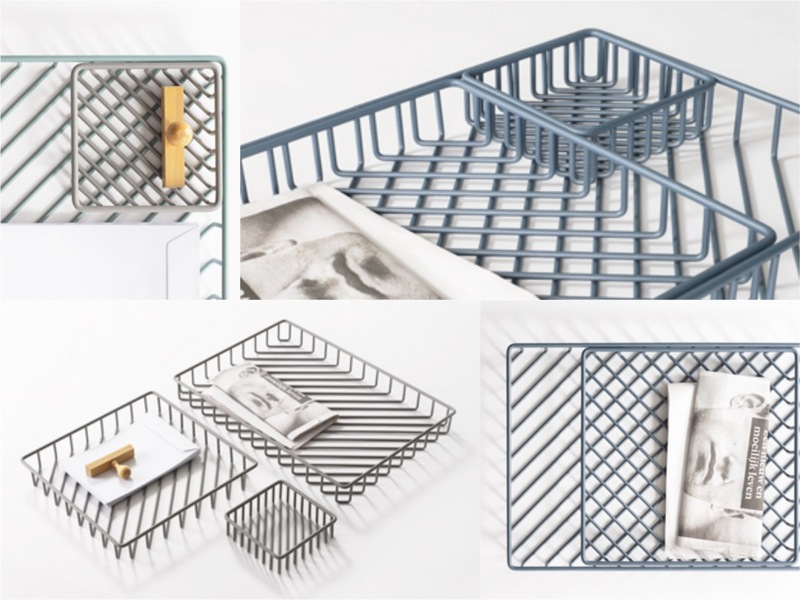 Texture Tray by Frederik Roijé: Made from bent metal and finished with a powder coating in various colours, the Texture Tray set by Dutch designer Federik Roijé is a modular desk organiser. The two smaller trays can be placed inside the larger one, or they can be used separately. The design plays on the patterns created by combing the different trays together according to how they need to be used. 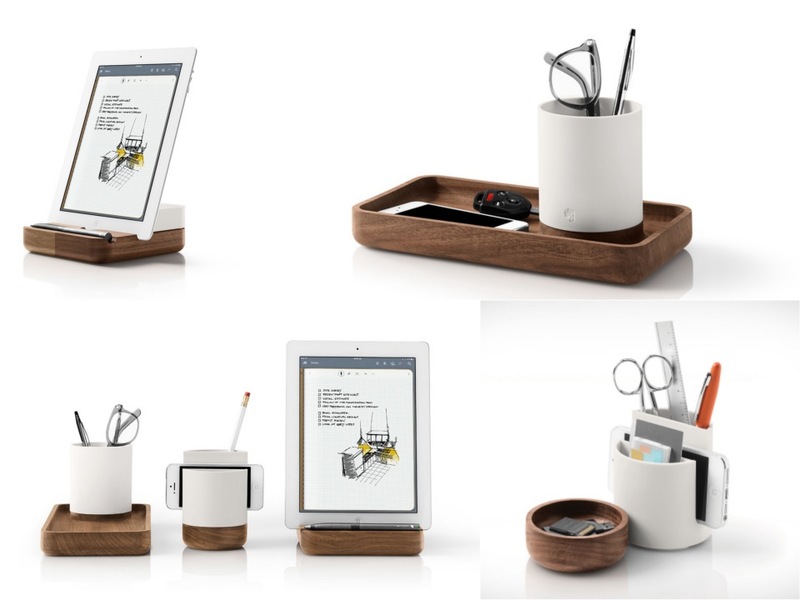 The Pfeiffer Collection by Evernote: The most stylish set of desk organisers and accessories feature in the Pfieffer Collection. 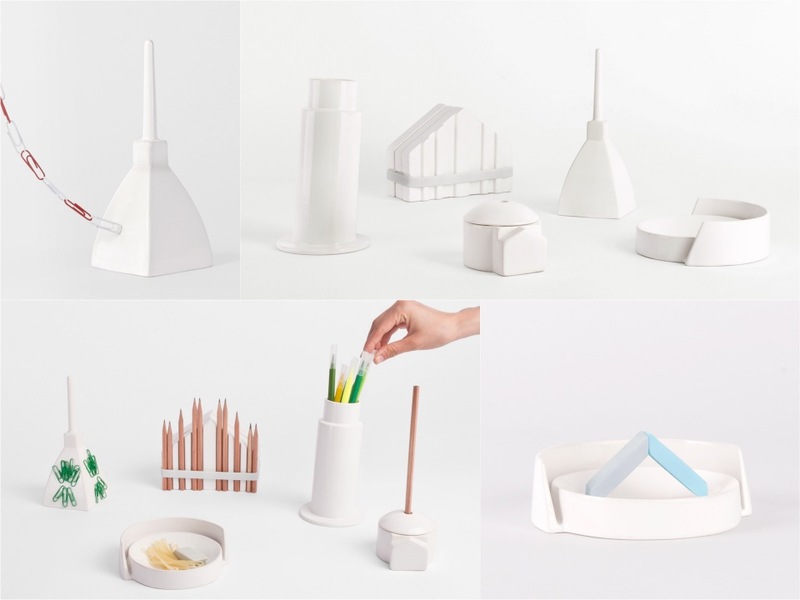 The collection includes a slotted cup with a removable base for hiding small items, a catch-all tray with a removable pen pot, and tablet dish complete with a space to allow the charging chord to go through. Made from a combination of walnut and a soft touch finish plastic, the collection includes a range of items to help declutter the desk space and take the focus back to working. 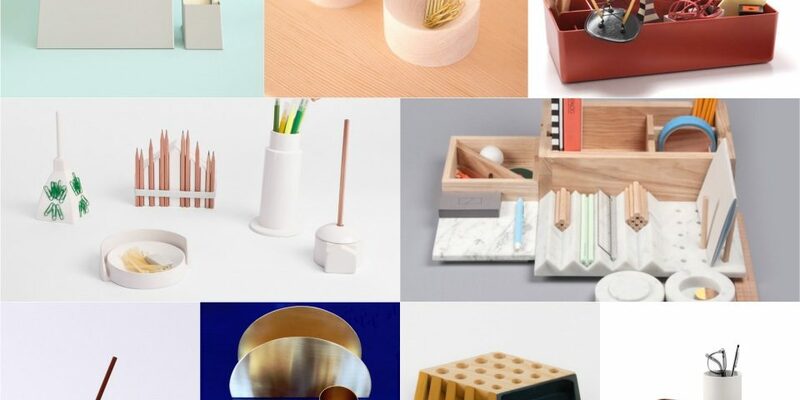 Holder by WV Design Studio: Created from natural plywood, aluminium plates and powder coated steel plates, the Holder Series is a clever range of desk organisation accessories. 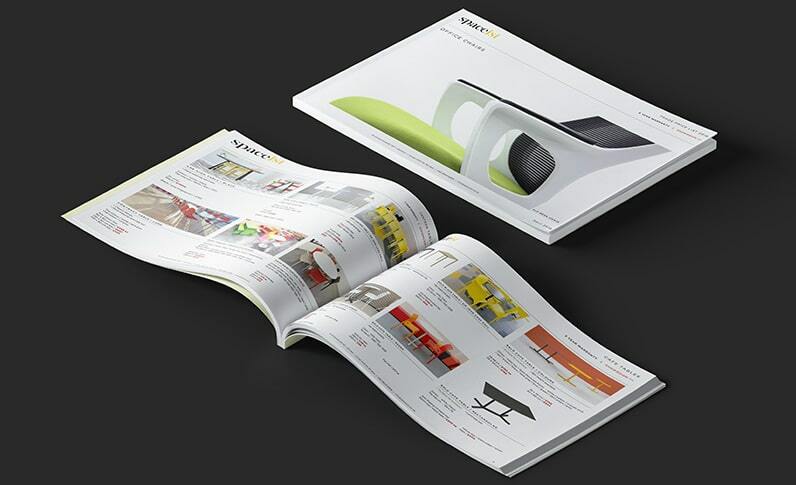 The series comprises of a large paper and notebook holder and a smaller stationary and smartphone holder. The Holders have been designed so they stand at an angle, providing easy access to any objects when working. This attractive and sleek accessory set presents a high-design desk top organisation system that works as well as it’s pleasing aesthetics.